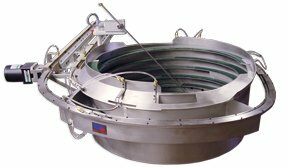 Automation Devices manufactures and fabricates a full range of stainless steel and cast aluminum vibratory feeder bowls. 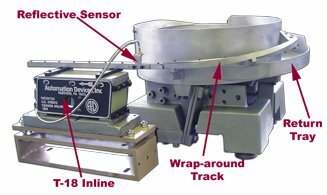 Choose from a complete line of in-stock cast aluminum bowls with track configurations to meet the demands of virtually any parts feeding application. Stainless Steel vibratory bowls can be fabricated in all sizes from 3'' (7.6 cm) to 36'' (91.4 cm) and assorted steel gauges. The bowls are often designed to meet or exceed FDA Requirements and Standards. Cast aluminum feeder bowls offer an economical alternative to stainless steel, have extremely short delivery times and are available for next day shipping. A wide variety of patterns and designs have been developed over the past 60 years and many are maintained IN-STOCK. Send ADI some product samples to see if we have a bowl pattern specifically for your application. 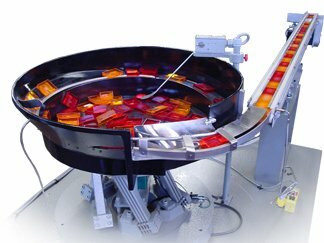 Automation Devices' tee nut vibratory feeder bowls are designed specifically to feed and orient tee nuts. Contact ADI for more information. When you choose ADI, you are provided professionally tooled bowls that eliminate the amount of time and money your company would have to invest in experimentally tooling a bowl at your facility. ADI's specialization lies within the full bowl tooling capabilities and knowledge accumulated over the course of more than 60 years. Keep doing what you do best and allow ADI to provide you the tooled vibratory feeders. 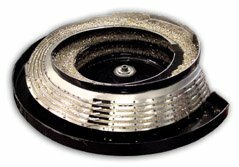 Provide ADI the opportunity to quote your business for vibratory feeder bowls! Amplitude stickers give customers a feeder's amplitude rate to determine the most efficient feed rate. 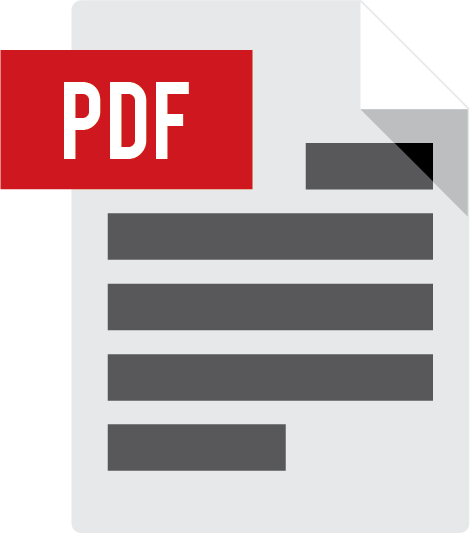 View the Amplitude Sticker Diagram listed in the resources below.